Not a stand-alone! Please listen to Rebel Lexis (Rings of Polaris series, book one) and Giants of Mars (Rings of Polaris series, book two) for full enjoyment. 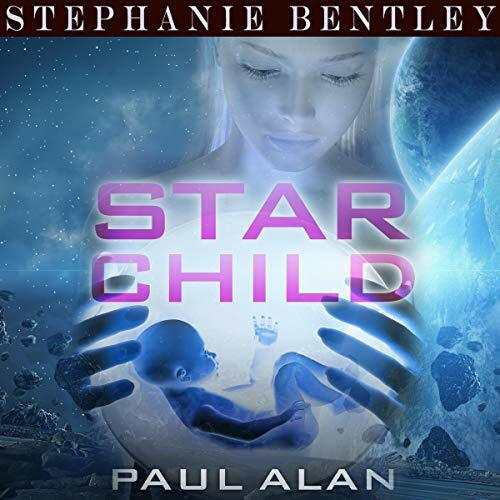 Masterfully crafted by Paul Alan, the third book in the celebrated new Rings of Polaris series fuses sci-fi, dystopian fiction, action, and romance - in an adventure giving Arthur C. Clarke a run for his money. While nobody will deny science-fiction’s timeless popularity, both listeners and critics are currently crying out for wholly unique new narratives that don’t succumb to recycling of the “same old” concepts. Thankfully, Paul Alan has stepped up to the plate with gusto, serving up a compelling new series that melds traditional sci-fi hallmarks with palm-sweating romance. Alan’s creation is rapidly building up a following among those who fell in love with Joseph Kosinski’s Oblivion and the groundbreaking 2001: A Space Odyssey. It’s easy to see why. Jason Bjorn just wants to do his job and captain his ship, but when his employer - The Polaris Corporation - sends him on a trek across the wastelands of Earth, he encounters treachery, an ancient cult, and secrets that strike at the heart of Polaris’ control over the planet. Soon, fighting to stay alive is the least of his worries as he finds himself at the center of a conflict that could change everything with nobody on his side but Sofia, the seductively independent operating system that runs his ship.